Review all of the various options for emailing/saving reports, notices, resource lists, bibliographies, etc. in Destiny©. Help save a tree and your school's paper costs! The most important requirement for saving paper when using Destiny is getting email addresses into Destiny patron records. Enter the recipient's phone number, including area code, and then add the person's cell phone carrier's email suffix in the Email 1 or 2 field in the patron record. 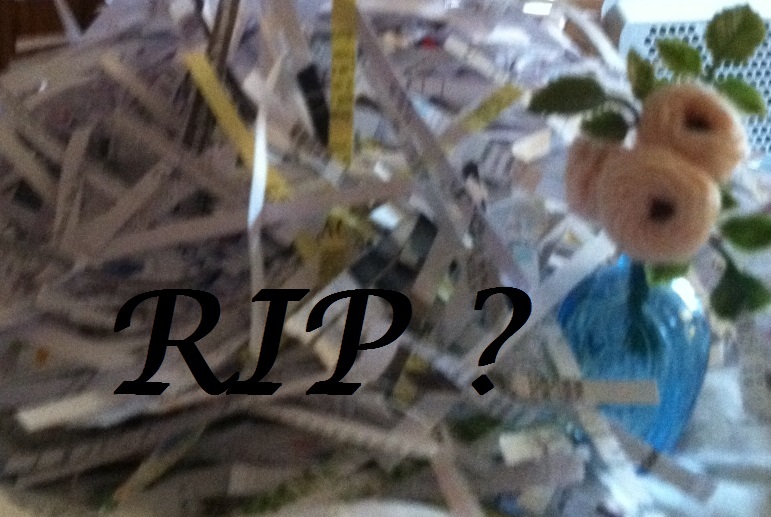 Is Paper Really Dead ? Well, maybe not entirely.... ? Click on the question mark to find out.